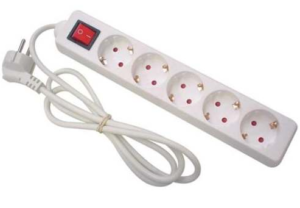 The use of a power strip is recommendable especially in office buildings where many devices as computers, printers, monitors, etc… are usually left in standby mode, spending unnecessary energy during the night-time, holidays and weekends. Power strips could switch all electrical equipment of a working area simultaneously. Alternatively, programmable outlets can be used to allow automatic on and off based on schedules selected by users. Initial investment: low. The price varies depending on the type of equipment that is purchased, being for the power strips and conventional programmable plugs between 5 and 20 euros.